I wanted to explore Indian cooking more, but the only Indian cookbook I had was Vij’s: Elegant and Inspired Indian Cuisine. Vikram Vij is the classically trained chef/owner of one of my favorite restaurants, Vij’s, in Vancouver. (And right next door he has Vij’s Rangoli, a more casual restaurant for lunch, dinner, or takeout.) His cookbook is excellent and I love being able to recreate some of Vij’s food at home, but the recipes are definitely gourmet Indian cuisine. I wanted a book that had great recipes for the basics. I wanted one that was authentic, but not too intimidating. I was thrilled to receive 660 Curries by Raghavan Iyer for my birthday. (Thank you, Mark and Erica!) It’s a beautiful book; I will have a lot of fun learning more about Indian food. 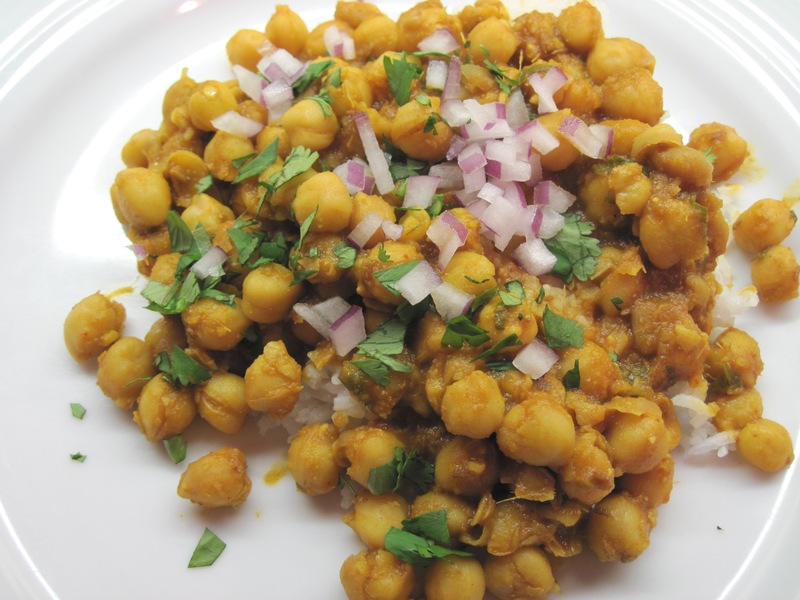 This recipe makes a fairly hot chana masala. I’d say it’s definitely a 2, possibly approaching a 3 on a scale of 1 – 4. If you don’t like hot foods you could decrease the cayenne pepper. 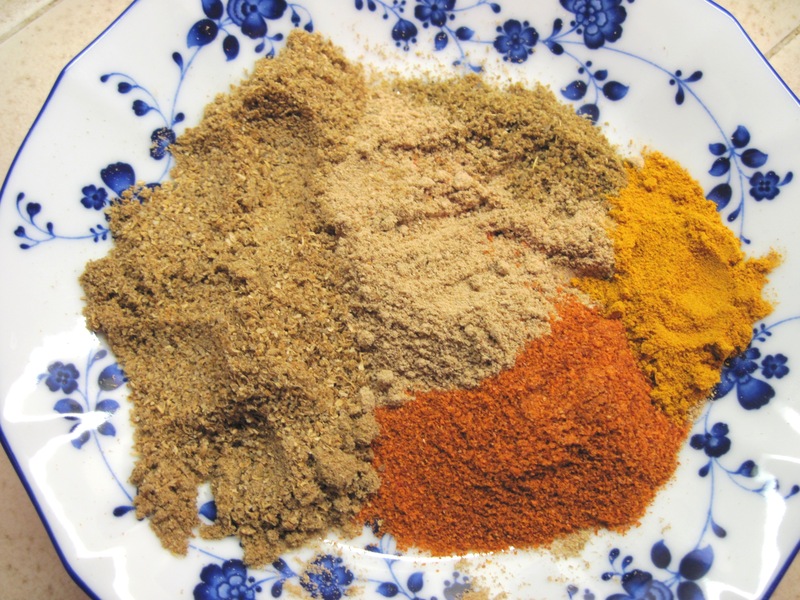 It will still be very flavorful with the other spices. I ordered the mango powder (Amchur) from indianblend.com; everything else was available at the grocery store. You can substitute lime juice for the mango powder, but I bought some because it seems to be a fairly common ingredient in Indian cuisine. Raghavan provides recipes for making Ginger Paste and Garlic Paste to use in the recipe. I attempted the Ginger Paste; first in my blender, then in my mini food processor, and I finally tried using my immersion blender. It never really turned into a paste. Maybe he has a more powerful blender. 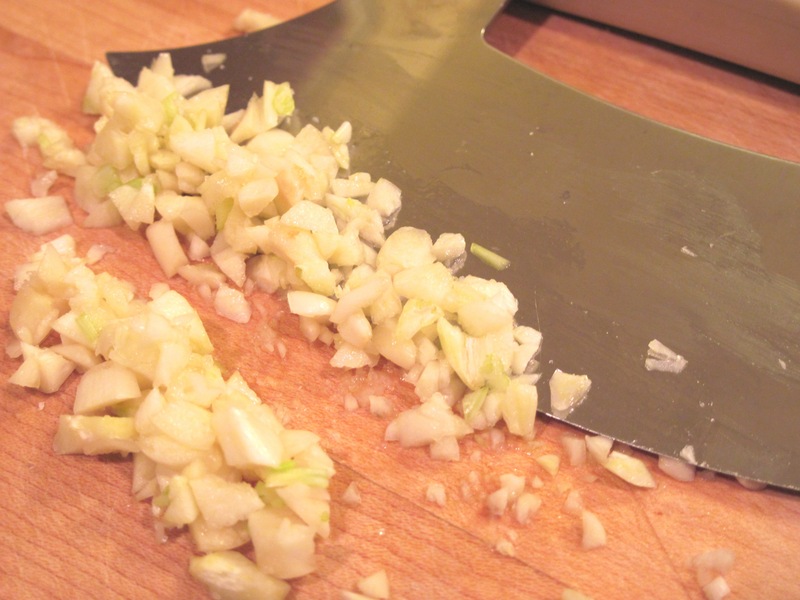 I decided to mince the garlic, and next time I will also just mince the ginger. The recipe is supposed to serve 8. Really? Perhaps….maybe if it’s part of a multi-course dinner. Served with a bit of rice and a salad, it’s closer to 4 servings. I definitely recommend this recipe! You can use canned chickpeas for a quicker version. 1. 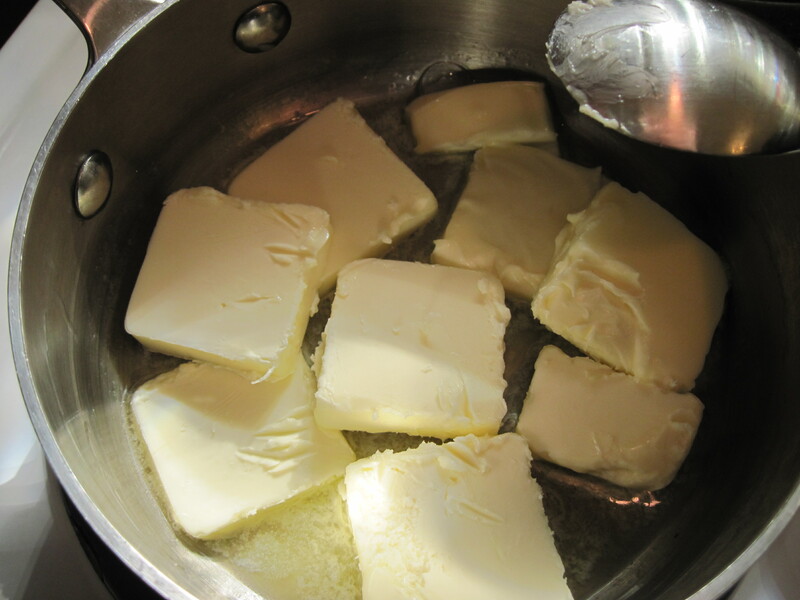 Heat the ghee, or oil, in a large pan over medium-high heat. Put the whole cumin seeds in the pan and cook, stirring, until they sizzle and turn reddish-brown, about 10 seconds. 2. Lower the heat to medium and add the garlic and ginger. Cook, stirring, for about 2 minutes. 3. Stir in 1 cup of water and the tomato paste and all of the spices. Partially cover, and simmer, stirring occasionally, for about 10 minutes. The water will evaporate and you will have a thick sauce. 4. 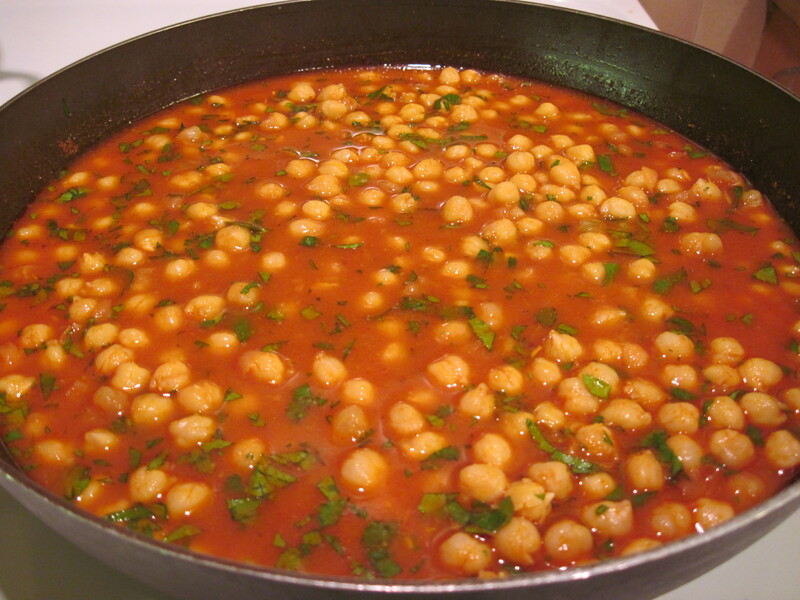 Add 2 more cups of water, the chickpeas, 2 tablespoons of the cilantro, and the salt. Cook, uncovered, for 15 – 18 minutes until the water evaporates and the curry thickens. 5. Serve with rice or naan. Sprinkle each serving with some of the remaining cilantro and some of the red onions. You even went so far as to make your own Ghee. I’m blown away Kath! it looks lovely- and i like the use of amchoor- (mango powder). This was incredible. I made a large batch to bring with me on a camping trip and it was a HUGE hit. The only problem with this recipe is that it’s so amazing we didn’t have any leftovers. Chana Masala (Chickpea Curry) | Vegetarian - and gluten free!